Wilmington, MA- Stafford Manufacturing Corp. has introduced SPARC, a rapid prototype and repair collar system, which lets users create their own working prototypes of special-purposed shaft collars within a few hours. The SPARC (Stafford Prototype and Repair Collar) system features precision machined shaft collar masters which are available from stock and accept 3-D printed inserts. 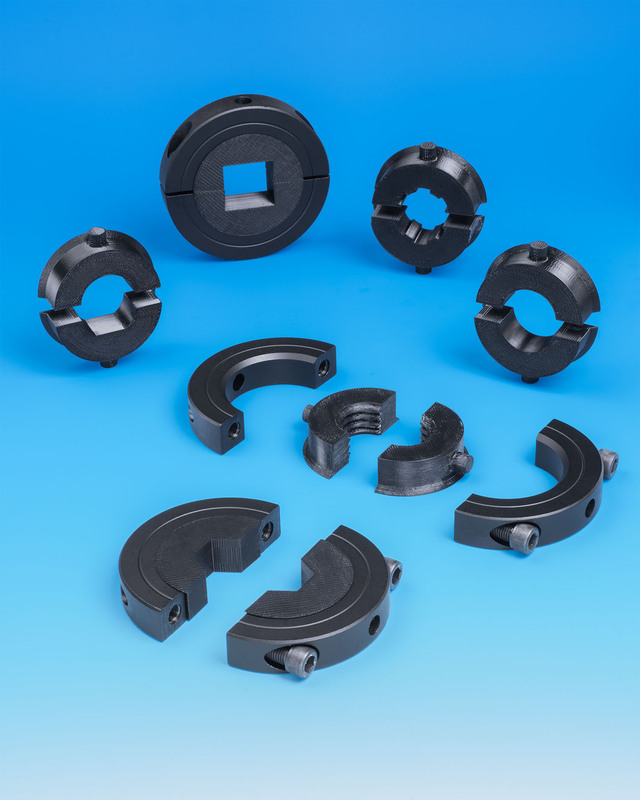 Combining the clamping strength of a conventional machined shaft collar with the flexibility of unlimited insert configurations, users can create custom-designed inserts with bores to fit virtually any type of shaft and can include holes, bosses, slots, tabs, hubs, pulleys, and other features. The 3-D printed inserts in the SPARC (Stafford Prototype and Repair Collar) system can be either user-defined or selected from a library of designs offered free from Stafford. The printing can be done free by the user or from Stafford for a fee and the inserts are designed to mate securely with the master to create a unified working part. Supplied in steel, stainless steel, or aluminum, masters come in three sizes to accommodate shafts from 1/8” to 3” O.D. The SPARC (Stafford Prototype and Repair Collar) system design files for basic printed inserts are free and machined masters are priced from $11.25 (list).